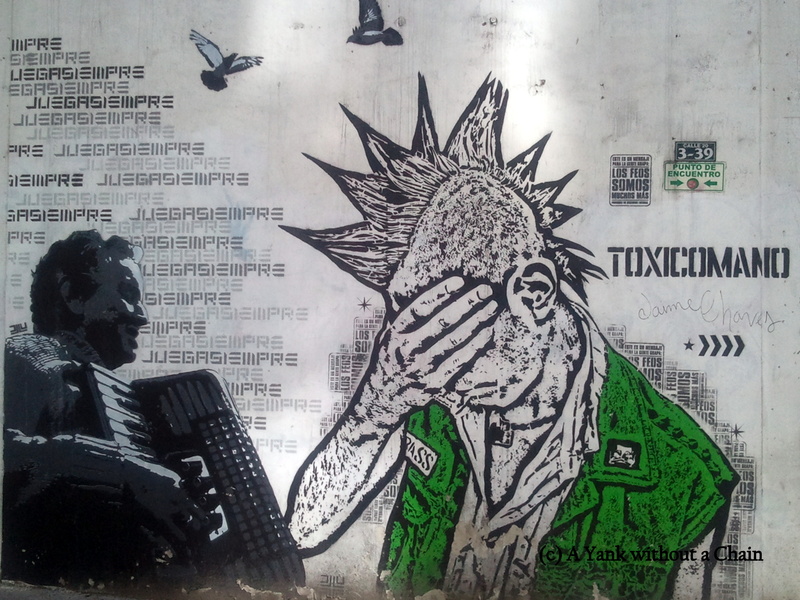 Graffiti is not illegal in Bogota, which accounts for the abundance of tags, stencils, and murals that adorn the walls throughout the city. The benefit of having legal street art, which may seem counter intuitive to Westerners who oppose the practice, is that since artists have more time to spend on their work without fear of being arrested, the outcome is usually a much more impressive, colorful, and well-thought-out piece than they would create otherwise. 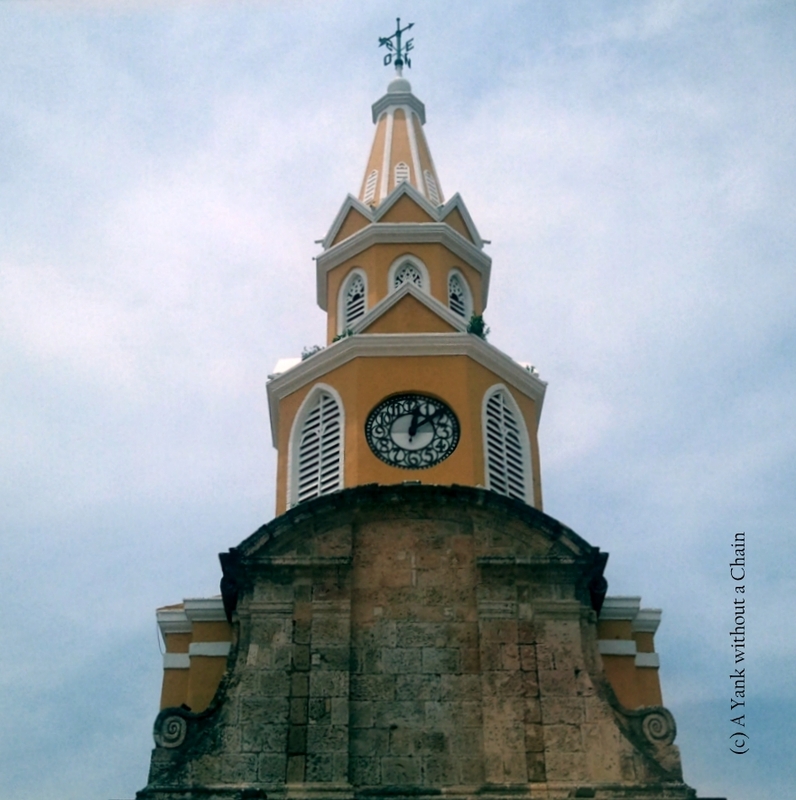 El Reloj Publico at one of the main entrances to the walled city. This past September I spent an incredible four days in Cartagena. You can have fresh fish on the beach while the salty air embraces your lungs, and the architecture is unlike anything I’ve ever seen. The walled city has an abundance of plazas, cute boutiques, ice cream shops, and awesome restaurants. You can get a refreshing jugo de zapote at one of the fruit stands just outside the walls, and a trip up to the summit of La Popa allows you to take in the scope of the city and its liquid borders. Here I’ve collected a few of the photos I took that exemplify the beauty and character of the city. Colombia, and Bogota in particular, is not known for having particularly flavorful or diverse foods. Bread is too sweet, cheese is too bland, meat is too… smashed. You will soon tire of the 5,000 peso corrientes that are so popular among locals for lunch and you will seek out better fare. Luckily, Bogota does have a growing food scene and there are a handful of restaurants that could rival some of the better meals I’ve had in New York. Here’s a list of my top 10 favorite restaurants that I visited. Salento is a lot of foreigners’ favorite place in Colombia, and yet most Colombians in Bogota have never even heard of it, much less can point to it on a map. Largely popularized by expat investors and small business owners, the town in the cafeteria between Armenia and Pereira is a gorgeous spot where visitors can enjoy an abundance of visual and gustatory delights. Much of Salento’s development over the past ten years has been credited to Tim Edwards, the owner of Plantation House, a hostel and coffee farm at the edge of the town. A stay at the Plantation House will set you back about 30,000 pesos a person, depending on the room you reserve, and a 10,000 COP tour of the coffee farm is a must. You’ll learn all about the cultivation of coffee from seed to grounds and finish the morning off with a beautiful cup of fresh brew. 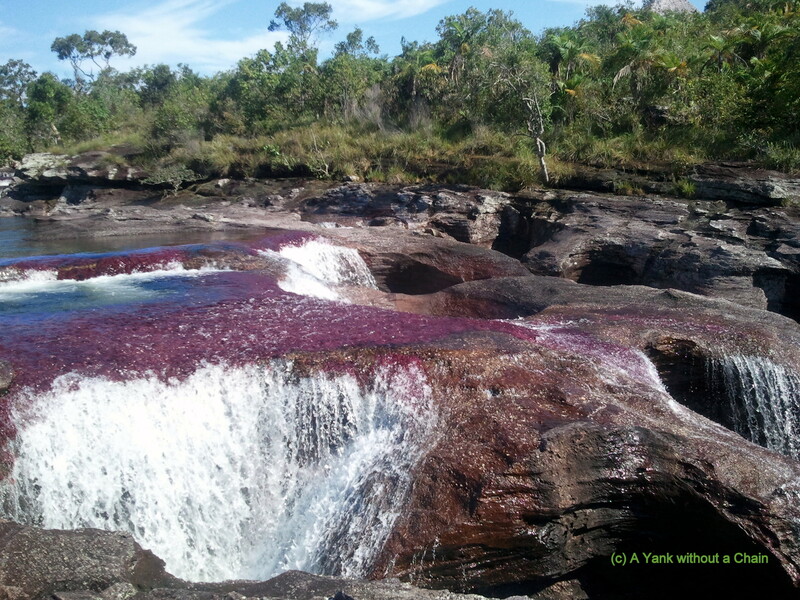 It’s been called the River of Seven Colors, the Most Beautiful River in the World, and the River that Ran Away from Paradise, but superlatives don’t even begin to do Caño Cristales justice. Located in the Serrania de la Macarena in the Meta region of Colombia, about 170 miles south of Bogota, Caño Cristales is a natural wonder that has yet to be seen by too many eyes. Due to the Meta region’s history of guerilla violence, it has developed an unsavory reputation and has been isolated for many years. However, now under the control of the Colombian army, the region is much more secure and is a growing destination for ecotourism.